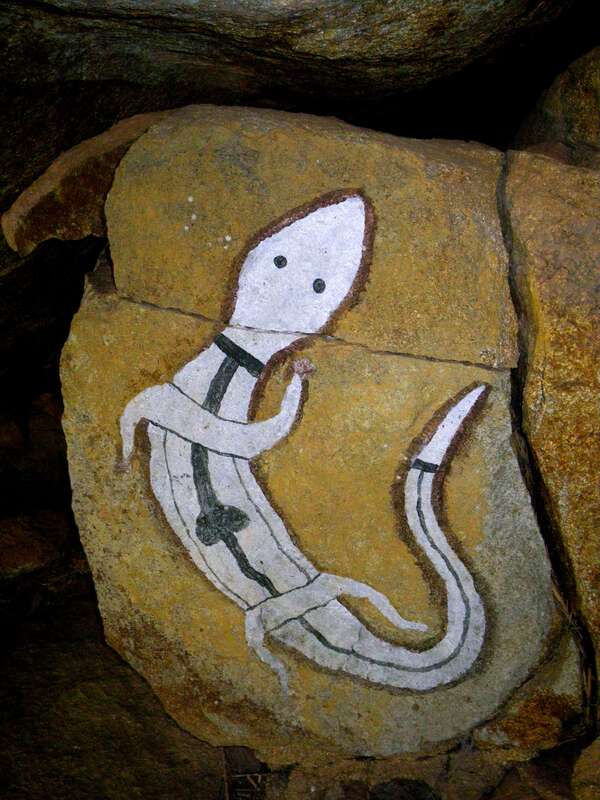 Aboriginal art on the Northern Tablelands of NSW Australia, including a lizard, a snake, and hand stencils. This is an interesting set of paintings of a snake, lizard and hand stencils. 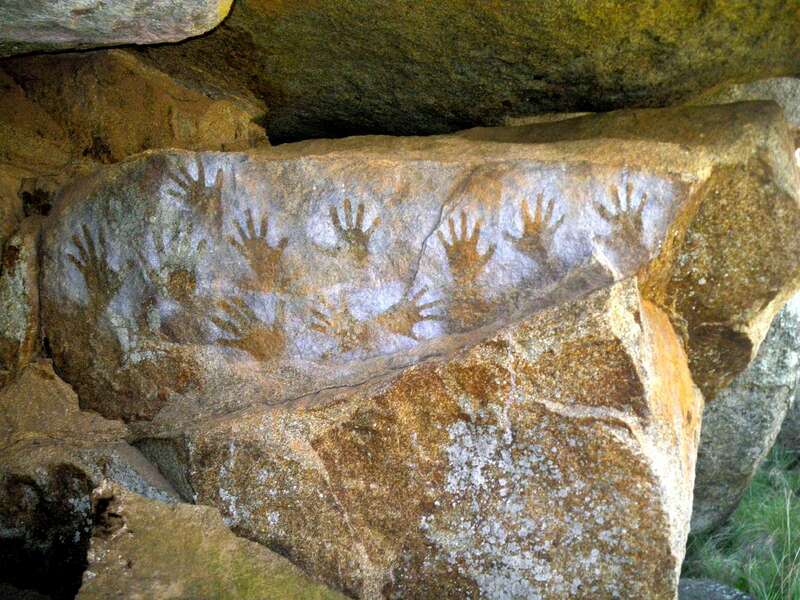 It appears to be regularly maintained and cared for by local aboriginal people as part of a continuing tradition. The paintings were completed by the family of two young men who drowned at the Blue Hole. Close up of the lizard painting. 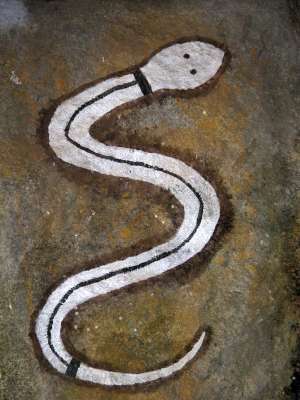 Snake painting. 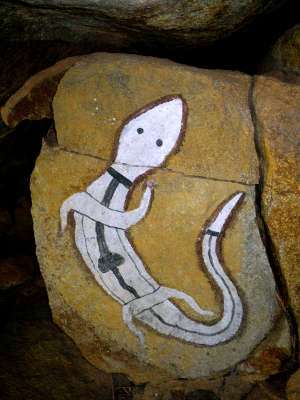 The region has many snakes, and you are never more than 100 metres from a snake in areas near permanent water. Hand stencils, a traditional form of Australian Aboriginal painting. 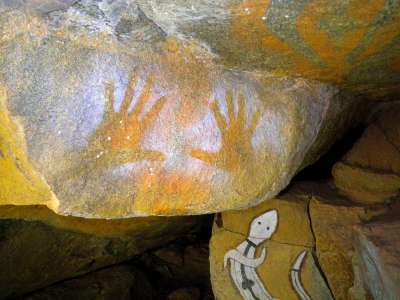 Ochre (white in this case) is mixed with water, put in the mouth and blown over the hand placed on the rock. These appear to be done at the same time by one person. Another pair of hand stencils.